Founded in 2010, Blackrocks Brewery distributes their beer across the Upper Peninsula. They also have a pub located in Marquette, Michigan. 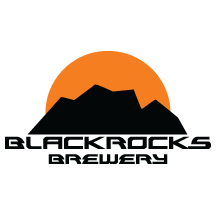 Blackrocks Brewery is very involved in the local community and they feature live music most nights at their pub. Stop in for a brew and to chat with the locals, or visit your Upper Michigan grocery store and pick up your own 6 pack of delicious Blackrocks Brewery beer. Whatever your choice, you won’t regret the decision to try their beer.